Born in Zagreb, Croatia, Zbukvic’s early education was very versatile and included both the performing and visual arts. Despite his obvious talent for painting, in 1967 he enrolled into university to study languages and literature in order to pursue a teaching career. 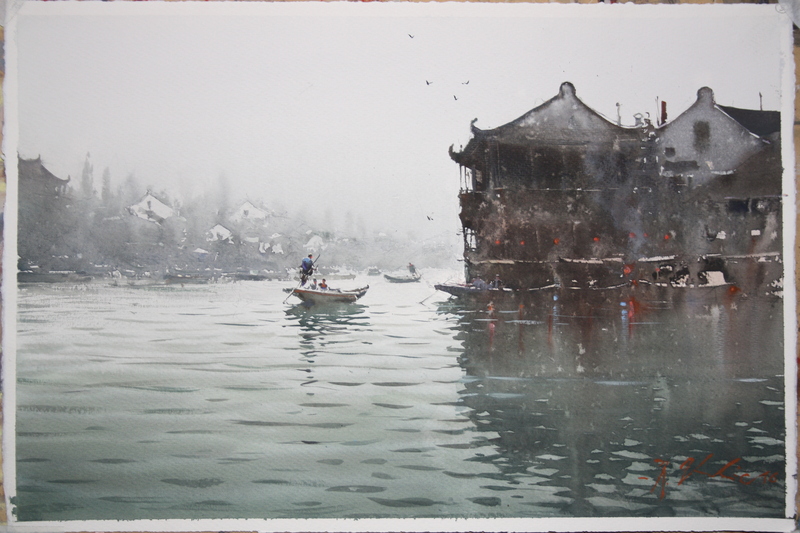 He is a member of the Victorian Watercolour Society and its vice president from 1991 to 1994 and was also invited to join the Australian Guild of Realist Artists in 1988 . He has been a member of the Victorian Artists Society since 1988 and a teacher at Charles Sturt University, Mitchell School of arts. He is also a long serving member of the Twenty Melbourne Painters Society. In 1998 he was nominated and excepted for the esteemed membership of the Australian Watercolour Institute and became a VRC member in 1998.